Peter A. Hansen is a nationally known interpreter of railroads and the American experience. 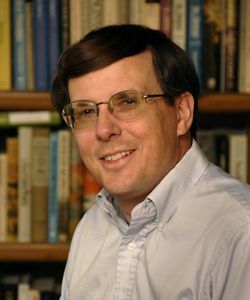 He is the long-time editor of Railroad History, the scholarly journal of the Railway & Locomotive Historical Society, and he is also a correspondent for Trains magazine, a popular publication focused on the modern railroad industry. He has been an on-camera source for CBS News, NBC News, and PBS, and has written several documentary films for distribution on public television. Peter is a communications consultant to major railroads, and he is also the guest curator and consultant to some of the nation’s noted historical museums, including the Smithsonian’s National Museum of African American History and Culture, where his firm coordinated the restoration of a segregation-era railroad coach.